We’ve got something exciting to announce today. By the end of this week, we’ll have completed shipping our Kickstarter Form 1 printers. Thank you. We’re here because of you, our first believers and first backers. Thanks for all of your patience, encouragement, and feedback. What began as an idea and a break-out Kickstarter campaign has grown into an all-star team and a fantastic community. Over 1,000 printers have left our warehouses. Today, there are Form 1s in the USA, Poland, Singapore, Hong Kong, and 30 other countries. A handful of printers are still in transit — we’re navigating various country-specific customs and importation processes — so if you don’t have your shipping notice yet, not to worry. Our growing logistics team is on it. As always, if you have any questions, make sure to email us at [email protected]. 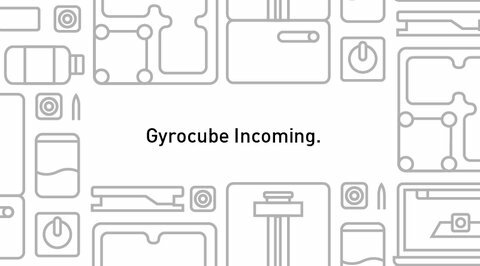 For our gyrocube backers — we haven’t forgotten you. These little gems have been shipping steadily. If you haven't received yours yet, you will soon. We’re shipping them out as fast as we can print them! The conclusion of our Kickstarter campaign means that we’ll be shipping printers to our pre-order customers starting this week. We expect to make rapid progress on our backlog. We will fulfill orders by the date in which they were received &ndash; and we're on target to meet our latest estimates. Keep an eye on your inbox. Pre-order customers, we know you've been waiting. You've kept us moving forward and helped us keep the lights on. Look for a note with a little surprise from us when you receive your printer. Thanks for having helped us launch this 3D printing revolution. We’ll have examples of our latest prints — and a sneak peek at our newest resin at Euromold in Frankfurt, Germany, this week. Stop by Hall 11.0 to say hello to our team and see the Form 1 in action. As always, visit our forums at <http://forums.formlabs.com" rel="nofollow" target=“_blank> and follow us on twitter.